It’s summertime! A season of long days and warm nights filled with games and ice cream and laughter. No other season is full of so many magical memories. Remember when the carnival came to town? What about the ice cream truck? Sharing your Popsicle with your favorite four legged friend, sneaking out at night, playing in the sprinklers, family cook-outs, camping . . .
Today Bloggers everywhere are sharing their favorite childhood memories. Why? Because we’re celebrating Steena Holmes’ new novel Finding Emma, a novel full of childhood innocence and a mother’s devotion. It was a warm summer day when Megan last saw her daughter Emma, that was two years ago. Unable to accept Emma is gone, unable to move forward, Megan watches as her life crumbles around her. When Megan takes a photo of a little girl with an elderly couple at the town fair, she believes it to be her missing daughter. Willing to accept any consequence, she sets in motion a sequence of events that could destroy both family’s lives. The blogs listed below have agreed to share their thoughts on favorite childhood memories through essays, poems, photo’s or other means of creative expression. These might be their own memories, memories of days spent with their children, memories created for other children . . . We really have no idea what’s in store for us but we can’t wait to find out! We’re sure you will enjoy all of these fantastic blogs. Be sure to stop at each one along the way and leave a comment because each comment earns you one entry into our giveaway for a signed copy of Finding Emma. Leave your comment by Thursday, June 7th 11:59 PM PST to be entered in the contest. We will choose one random winner. Winner will be announced here in the comment section on Friday, June 8th. Here is a list of all our participating bloggers. Following this list is Steena’s guest post about her own favorite childhood memories. We invite you to begin your journey down memory lane with Steena’s post, and then come back and work your way through our list of stops. A big thank you to all of our blogging friends for participating in this special day! Steena thanks you as well and, following this post, she will be sharing her memories of cotton candy, candied apples, and the Calgary Stampede—important memories that shaped the setting in Finding Emma. Get ready to smile, cry, and laugh out loud as you visit all our friends and read about their favorite childhood memories. Remember to invite your friends to join in the fun! Thank you for the opportunity to join you for this fun mass blotting event. I enjoyed "Finding Emma " more than you might understand. It wax fun to write my favorite childhood memories. Thank you to everyone for sharing their favorite childhood memories; it was so much fun to read them all! We have two winners to announce. One winner from all our visitors who left comments and one winner from our group of wonderful host bloggers. Both winners were chosen using Random.Org. Our winning visitor is Angie Buchanan whose name was submitted by Jamie Ann Richardson from the list of visitors to her blog. Angie wins a signed copy of Finding Emma! Our winning Host Blogger is Rita Ackerman from A Tattered Past. 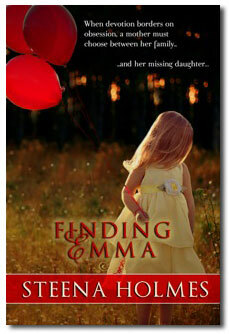 Rita wins an electronic copy of Finding Emma and a beautiful pewter angel figurine! Both winners will be contacted via email.